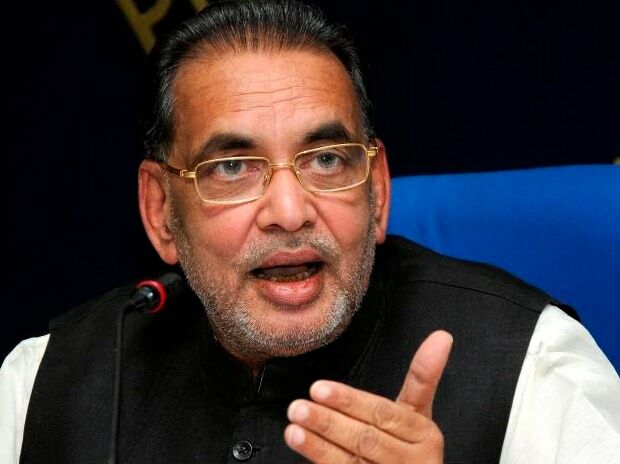 Agriculture Minister Radha Mohan Singh said on Monday that in its last four and half years, the NDA government under Prime Minister Narendra Modi has taken several measures to boost farmers’ income and will take more steps in the coming days. In an apparent reference to the additional measures that could be announced in the next few weeks, Singh said schemes like higher procurement at increased minimum support price, higher payout under crop insurance scheme, and electronic linking of markets are all meant to improve farmers’ income. He said that in the last four years, credit flow to the agriculture sector has risen 57 per cent, while the interest subsidy on short-term crop loans has been raised by one and half times to Rs 15,000 crore. He said government purchases under price support scheme, price stabilisation fund, and market intervention scheme have risen 15 times and they are meant to improve farmers’ incomes. He added that the current government has fulfilled a sizeable number of recommendations made by eminent agriculture economist M S Swaminathan, while the previous Congress government had pushed it to the back burner. “Dr Swaminathan himself hasn’t backed loan waivers as a solution to farmers problems,” Singh said.